Fee: 1 hour minimum. 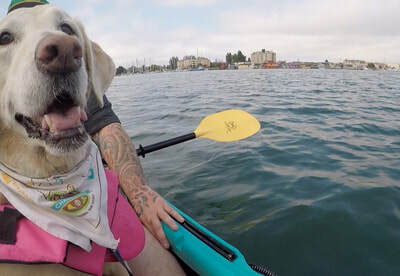 Dogs ride free. 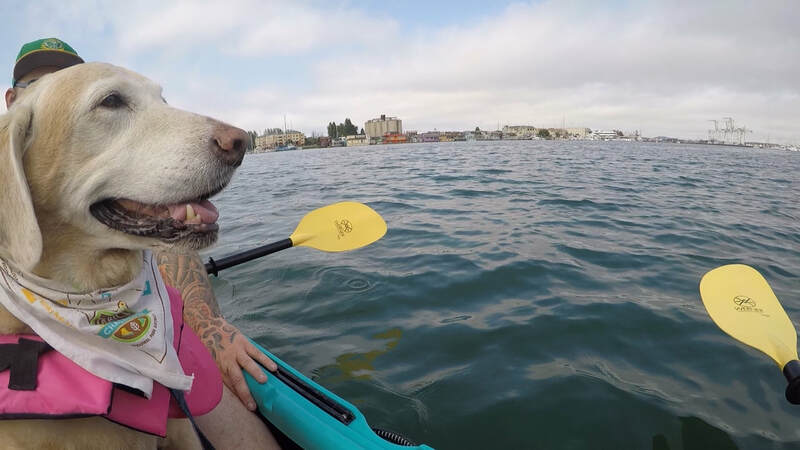 Life jackets are provided, free of charge. Dog Rules: Well behaved dogs allowed to ride for free. They provide life vests for your dog. Best time to visit: Anytime, if it isn’t a hot day, as you will be fully exposed to sunlight during your trip. 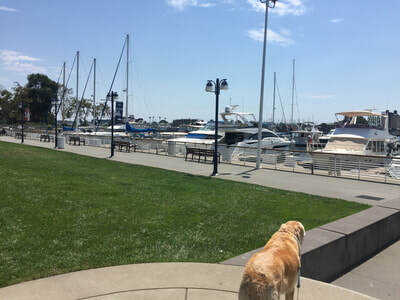 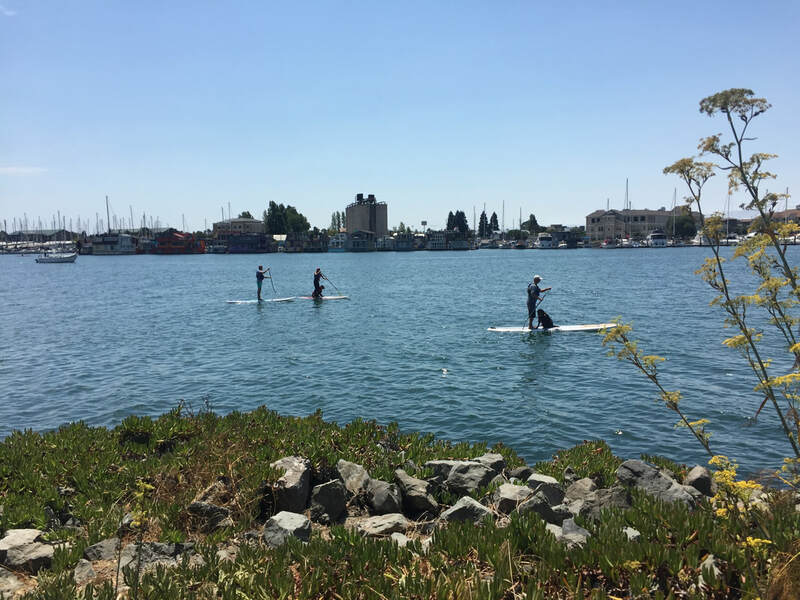 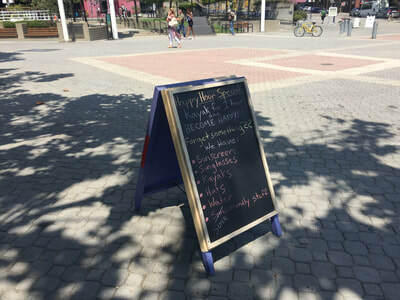 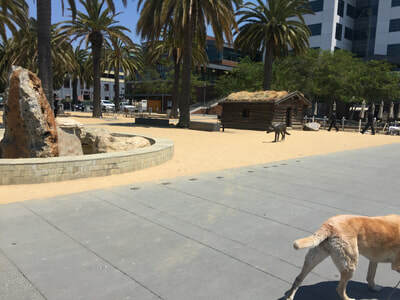 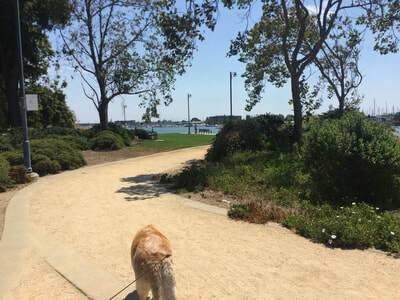 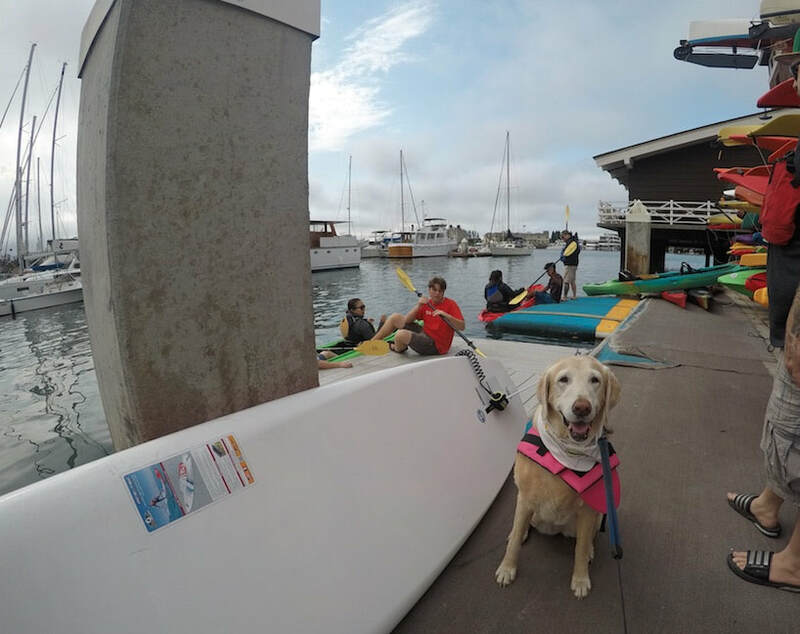 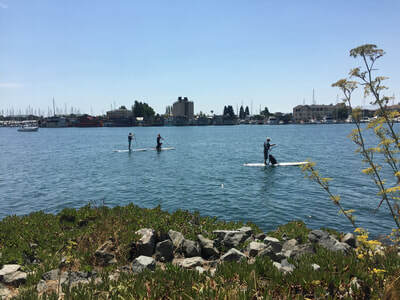 Description: Kayak or Stand up Paddle board along the coast of Jack London Square. They offer both sit-on-top and sit-inside style kayaks, as well as Stand Up Paddle boards. Well-behaved dogs are welcome, and Bailey fit perfectly in a large sit-inside style kayak with me and a friend. 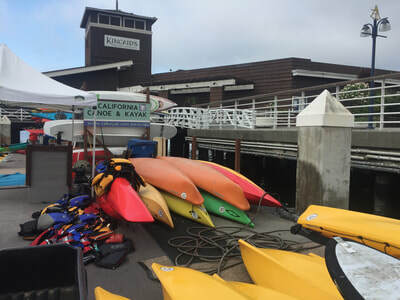 Unfortunately all rentals are on a first-come basis, as they do not take reservations, but we had a huge selection to chose from in the morning. 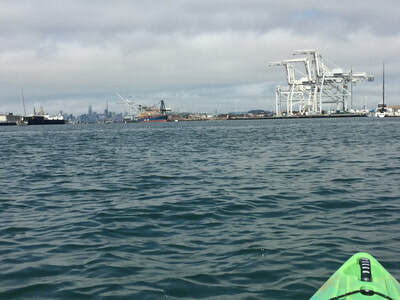 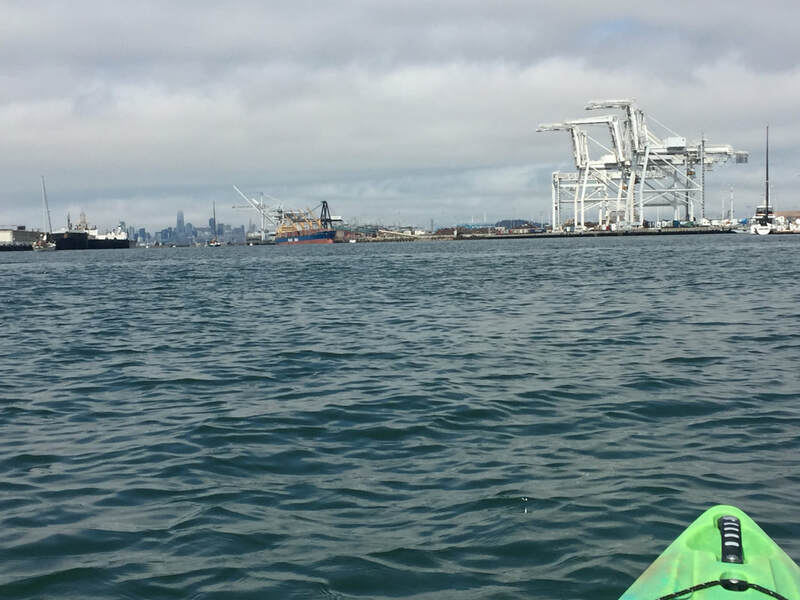 During our outing, we paddled through the canal with views of SF and the shipping cranes at the Port of Oakland. 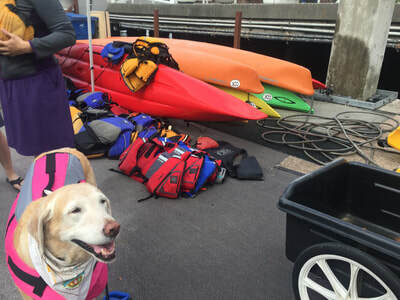 You can paddle to the Park Street Bridge and around Coast Guard Island as well. The furthest down you're allowed to go is about 7 miles. 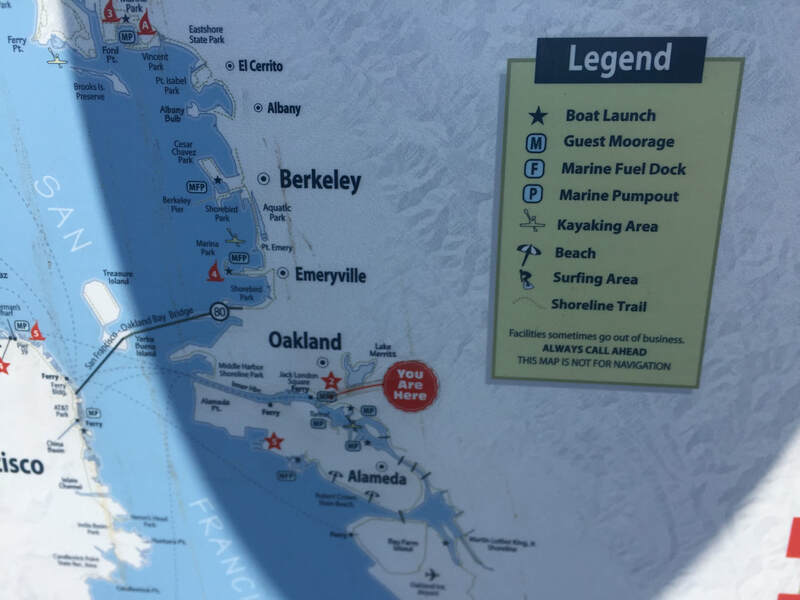 Although there are some boats to watch out for, we didn't encounter many during our visit. 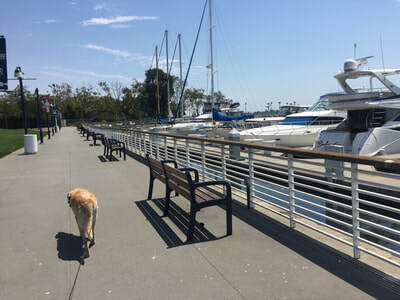 This place will provide a life vest for your dog and they have small lockers for keys, phones, etc. 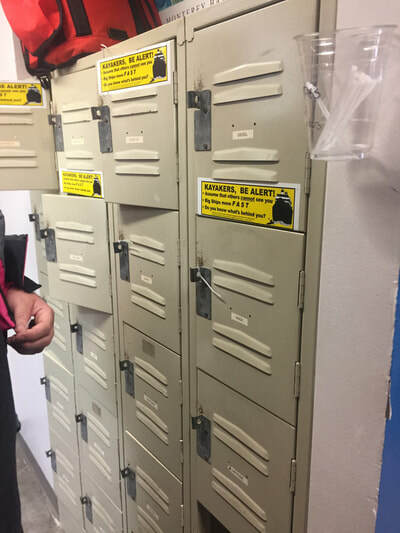 (but bring your own lock, or you'll have to use a zip tie). 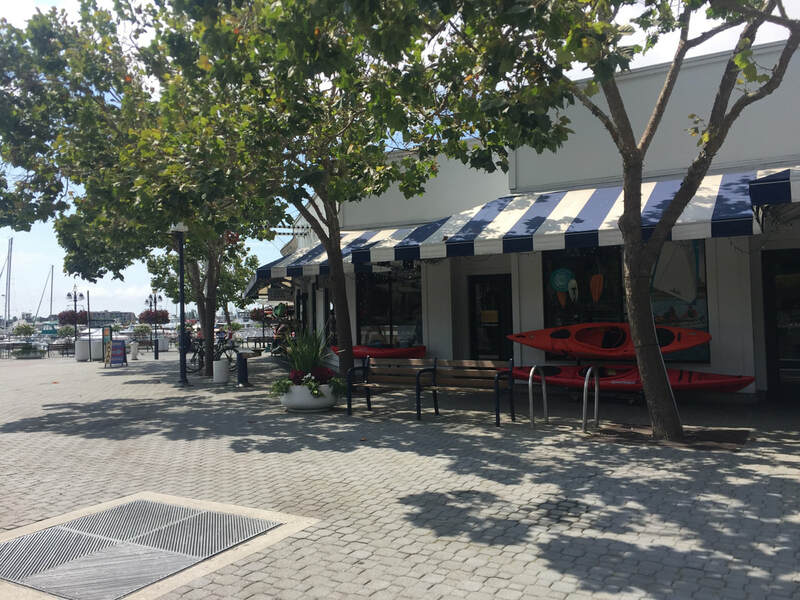 They also have sunscreen, sunglasses, hats and water available in their store. 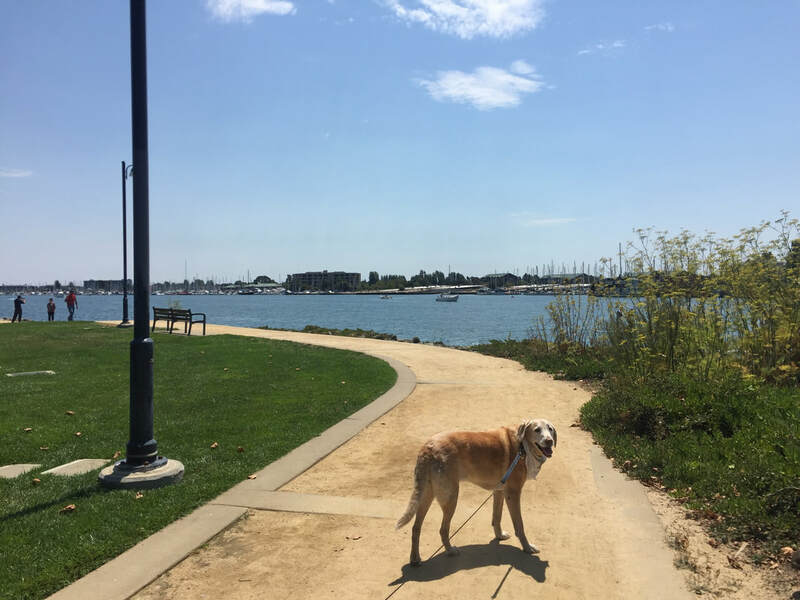 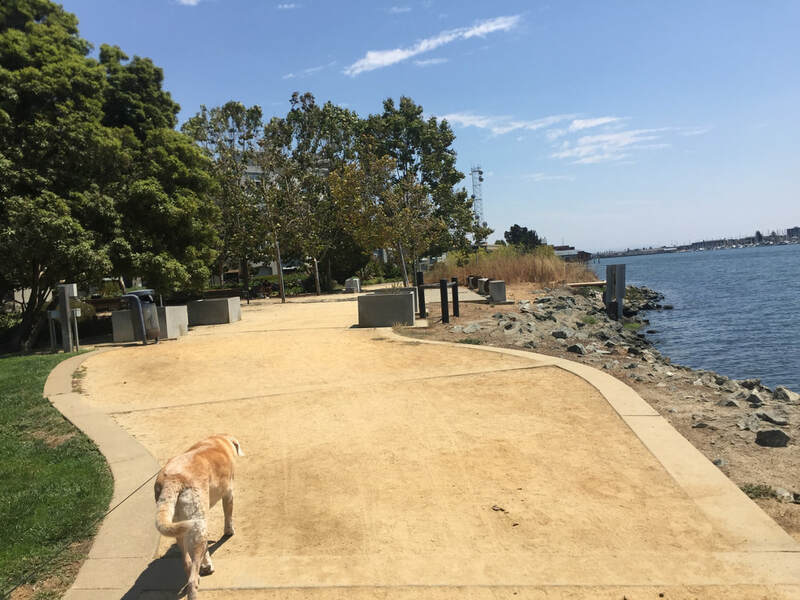 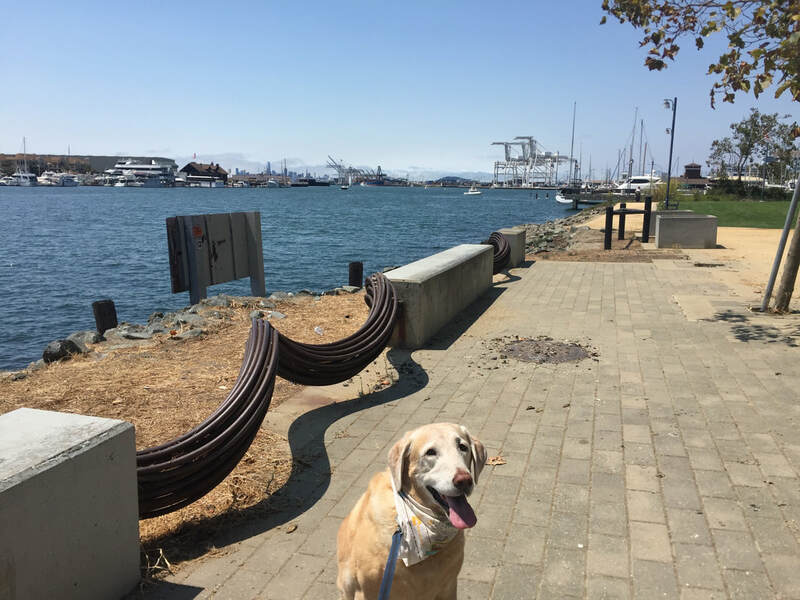 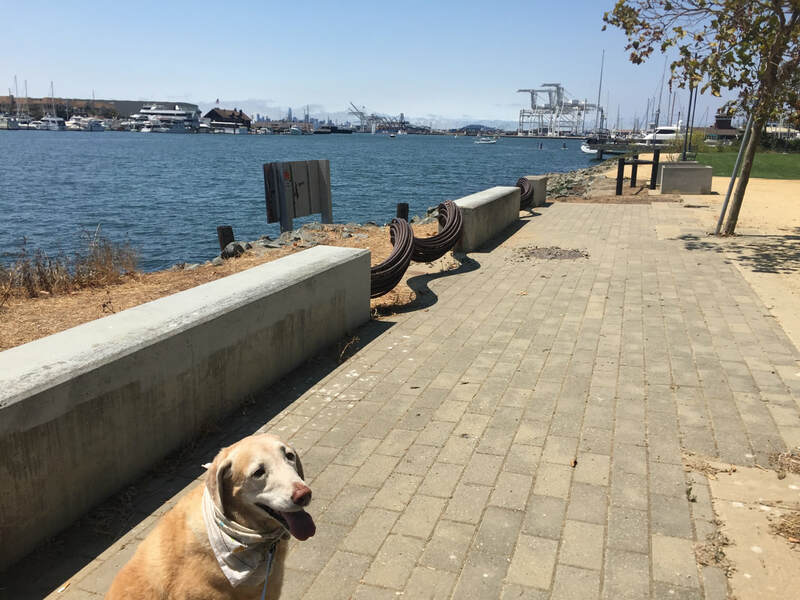 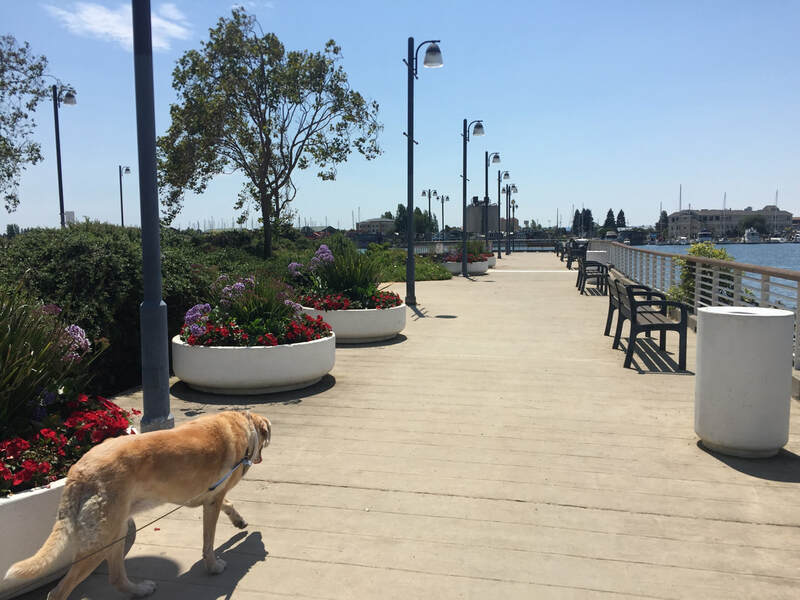 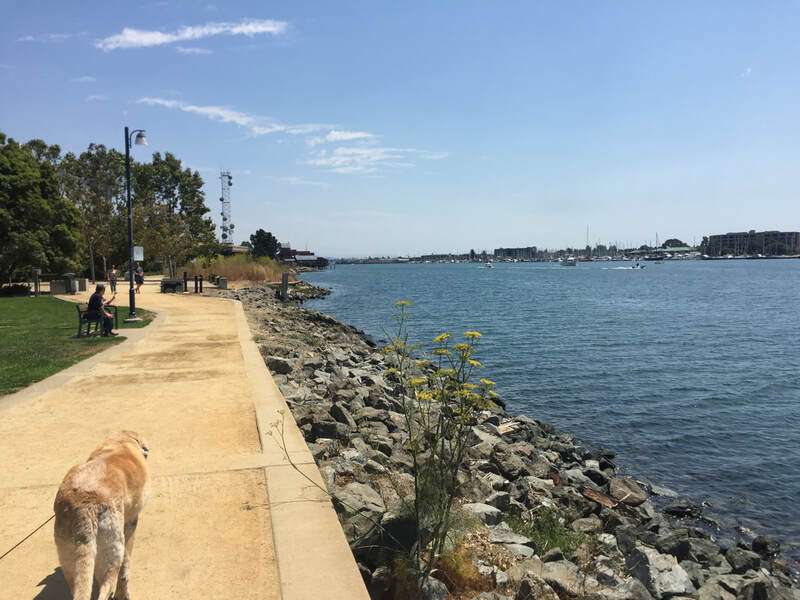 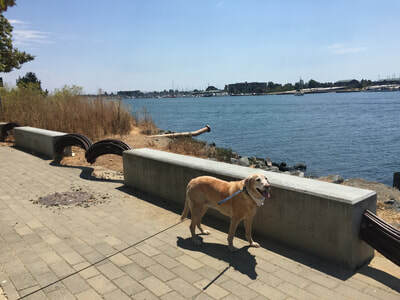 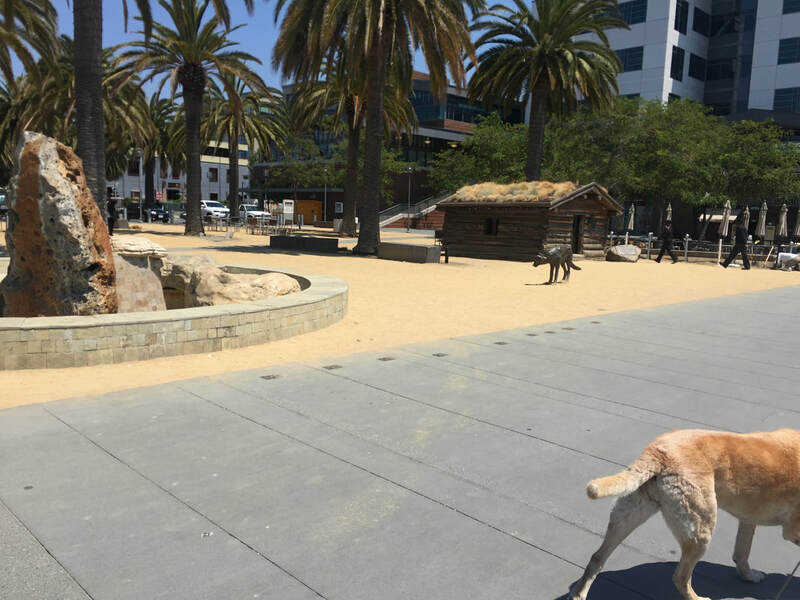 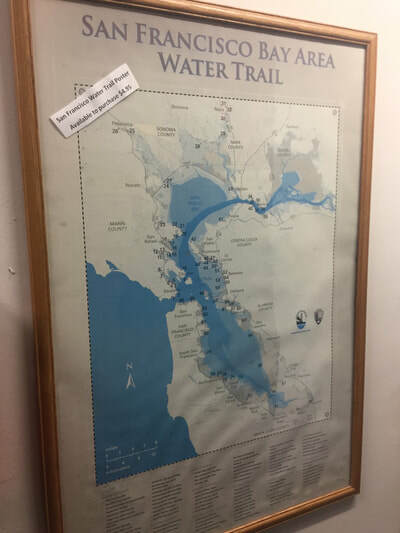 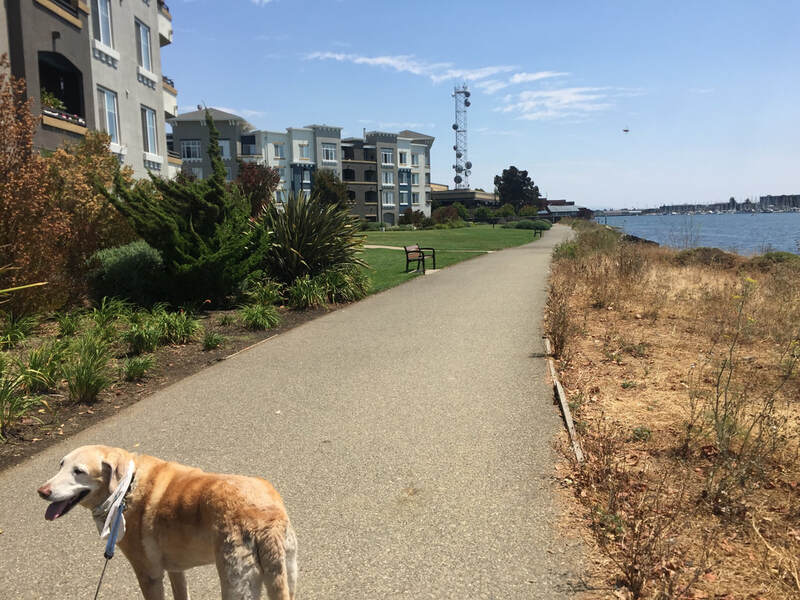 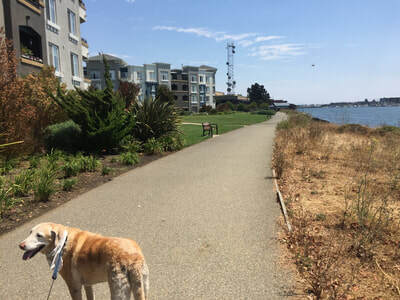 After your trip, you can walk along the Shoreline Trail, which takes you down from Jack London Square almost to the Park Street Bridge. This is a nice, flat walk along the water where you can watch other kayakers and SUPs.